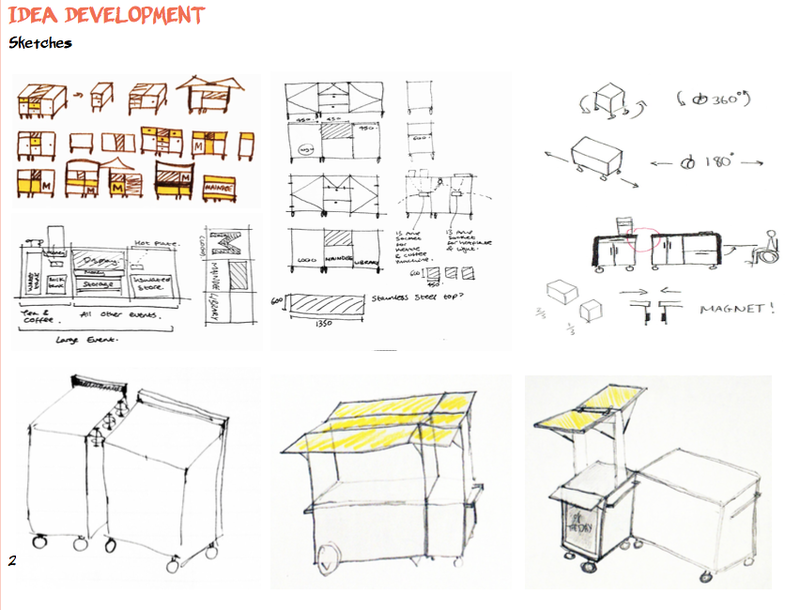 Research Aim: How can a mobile cafe project act as a catalyst for change in a community? Maindee Unlimited, a charity in South Wales required a refresh to one of their buildings, a library in Maindee, Newport with wider aims to provoke change in aid of placemaking within the community and giving a sense of ownership back to the residents. The cafe project acted as a symbol for the progress the library has made so far, some would consider it a built manifesto of their work they have done over the past 2 years of occupation of the library and the progress they intend to make to the building in the following years. The cafe project was one of a series of projects working towards this aim. The cafe had to satisfy several client requirements; it needed to be mobile, house certain equipment for different events, have a area for advertisement, be adaptable, satisfy environmental health standards and be able to be used for inside and outside use. The project ran for 6 weeks within which time a prototype was drawn up and created for testing at a community soup event, where the design was critiqued and altered for the final design. Several reiterations and meetings with the community resulted in the final design and subsequent construction of the unit which is now being used in the library on a daily basis whilst the library’s main kitchen is under reconstruction.